About the book: So, I only managed to read three of the six Booker Prize shortlisted books. 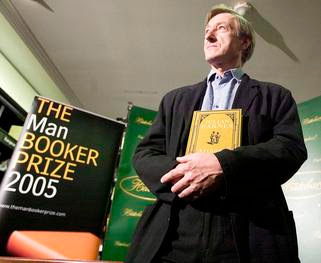 The other day they announced the winner - The Sense of an Ending by English author Julian Barnes. I'd read that one. It's no Life of Pi, but it's certainly the best out of the three that I read. Summary and theme: The narrator, a man in his early sixties, talks about his life. He has had a good career, a marriage followed by an amicable divorce; some achievements and some disappointments, and of course, some mystery. The main theme of the book is memories. It's about what you think when you grow old and look back at the life you've lived; what you do when you realize the truth of what you have done; when you see your actions in a different, grown-up light and realize your mistakes; what you do when you can't take those actions back. My thoughts: I think what held the book so wonderfully together was the dry humour; especially as the narrator recounts his story, you see that he finds it immature, funny even, and you tend to agree with him! The characters are very engaging and each one unique. The relationships and the bonds the narrator forms over the years (with his four childhood friends, with his divorced wife) are all too realistic not to be true. The book being a narration, the author has a lot of chances to indulge in long monologues about life and such, and he uses these opportunities to the fullest. Overall it is great one-time read. Not close to perfect. 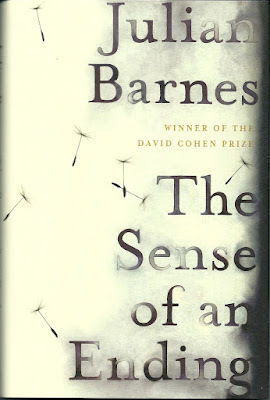 And it was bound to win the 2011 Man Booker Prize, whether I liked it or not. I will have to read this at some point. Kailana - You should! Thanks for stopping by!